Here are examples of our tipi floor plans and an idea of the hire price. 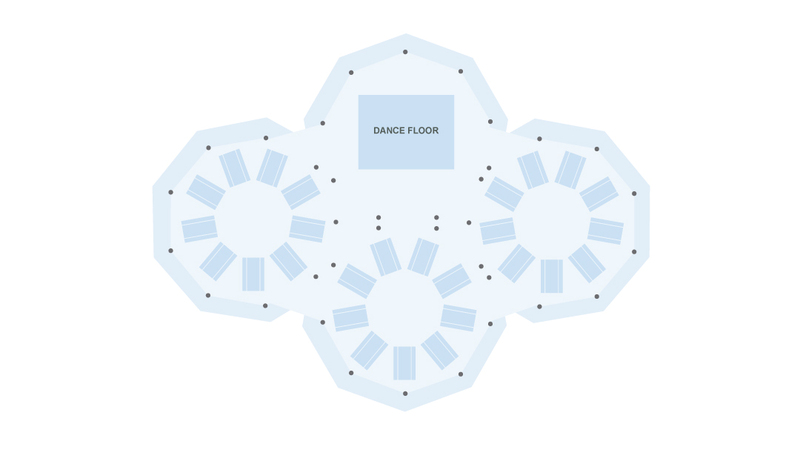 Tipis have many possible configurations and we can create various options from one to five tipis with a capacity between 50 to 300+ seated guests. Prices are listed as a guide only as every event is so unique. Drop us a line for a full quote based on your dream event. Get in touch. Delivery to Wanaka & Queenstown area within a radius of 50km is included. Find more details in our T&C’s. All prices are inclusive of GST at 15% and based on a 48 hour hire period. Get in touch for details of longer hire periods. The single tipi setup is beautiful for smaller weddings, private parties and corporate events. You can create an incredable tipi bar and lounge with all the sides raised for entertaining or corporate events. A single tipi can accommodate around 70 people seated and 100 standing. The tipis really come into there own when joined together, creating versatile and stunning spaces that work beautifully for weddings around 50 – 100 people. Providing plenty of room to dine and the opportunity to work it all off afterwards busting moves on the dance floor. 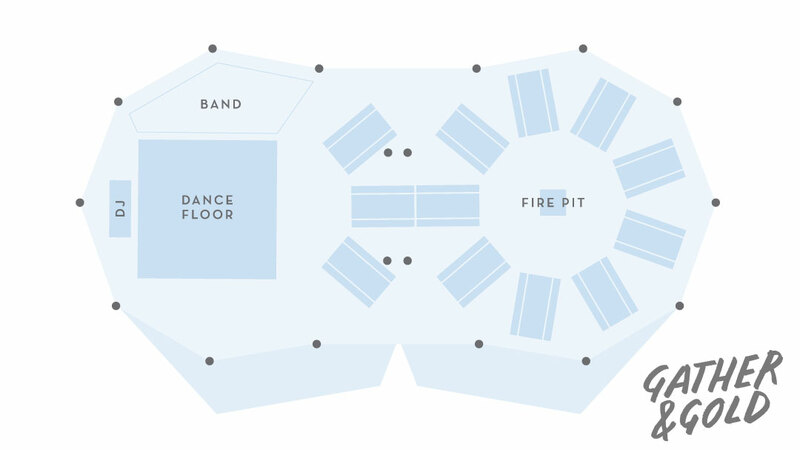 This tipi floor plan has enough room for tables, the band, dance floor and fire pit. 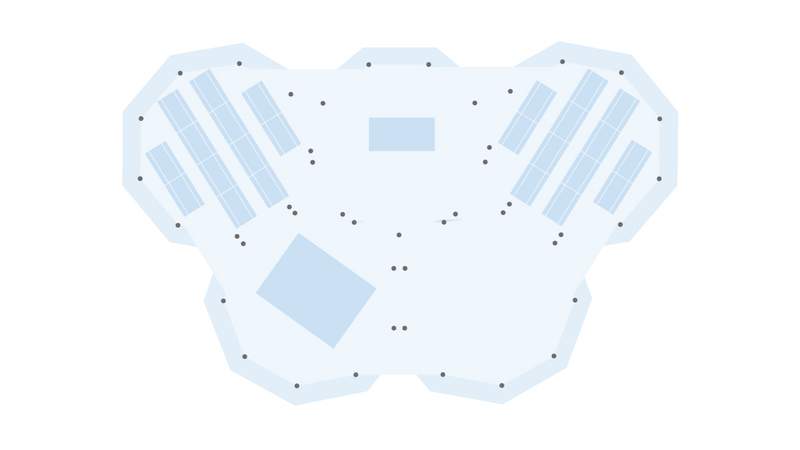 We’re happy to work with you to plan a floor plan that works perfectly for your specific event. 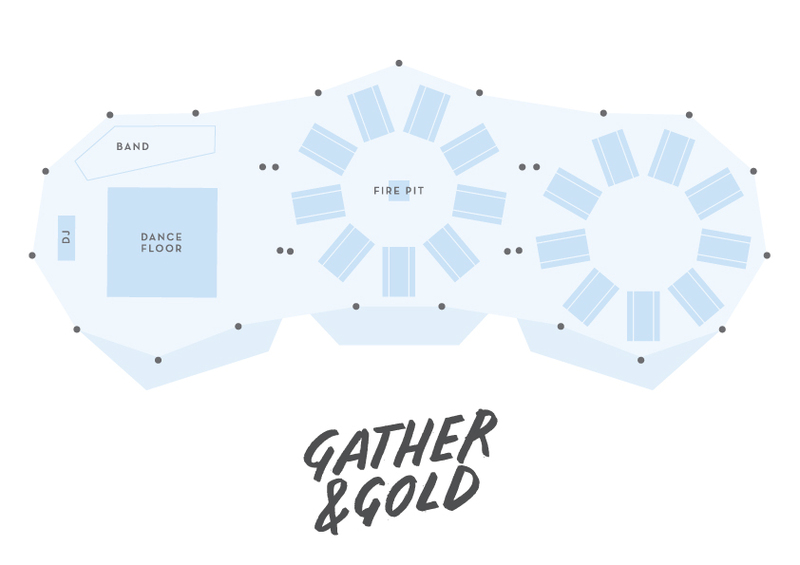 The three tipi layout suits larger weddings and events up to around 150+ people with room to boogie, a bar or chill our area, seating and the lovely fire pit. 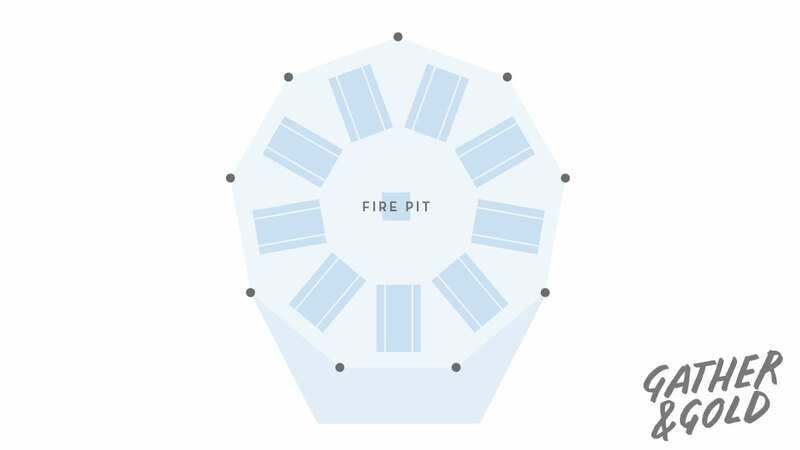 This is only indicative of a tipi floor plan, it’s best to share your tipi dreams with us and we’ll tailor a floor plan for you with a bespoke quote. Three tipis can be configured in a line an arc shape or a triangle! The Diamond tipi configuration offers even more space for seated dinning or the chance to get really creative with larger bar, stage or themed areas. 200+ seated guests will remember this awesome space. A gloriously large and flexible space to dine, party and entertain 300+ people for a giant banquet, corporate lunch or dinner. Seat 150 and include a lounge, bar and night club all under one roof for the ultimate tipi bash. Get a tailored quote by getting in touch with all your event details and we’ll advise then best fit for your requirement. Specifically designed for our tipis, our commercial LED fairy lights wrap around the main poles and festoon lights around the middle of the tipis. This package gives a soft over all lighting result which can be increased by the use of extra wash lights and spots.